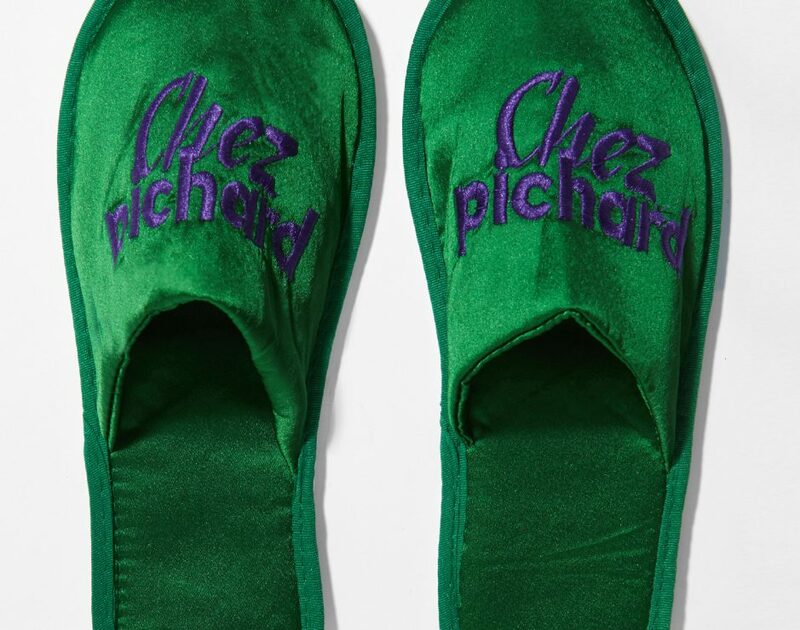 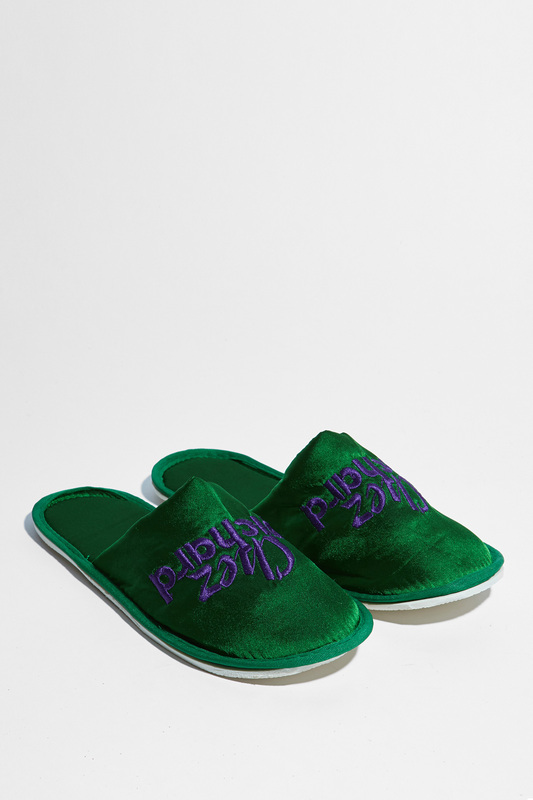 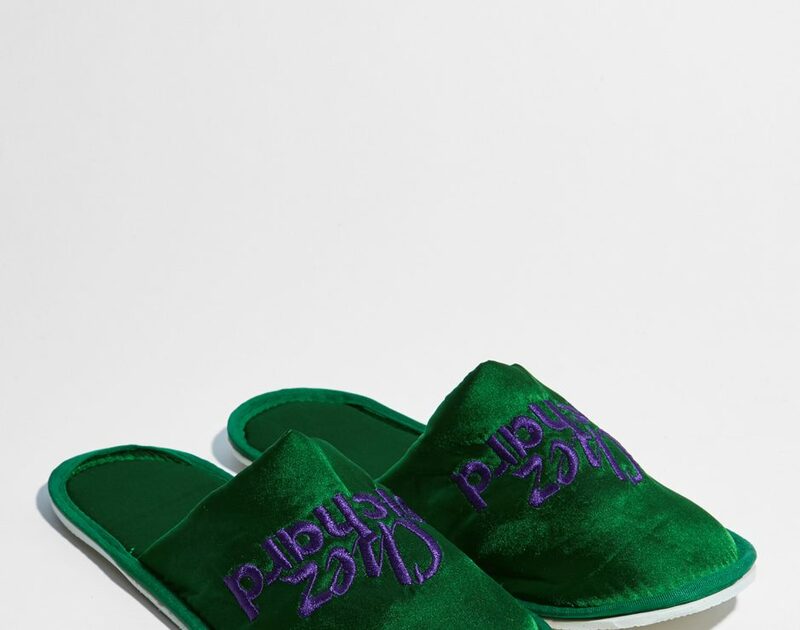 Embroidered satin interior slippers "Chez Pichard"
Invite yourself to the first Amélie Pichard store with theses satin green slippers embroidered with a velvet "Chez Pichard" logo. 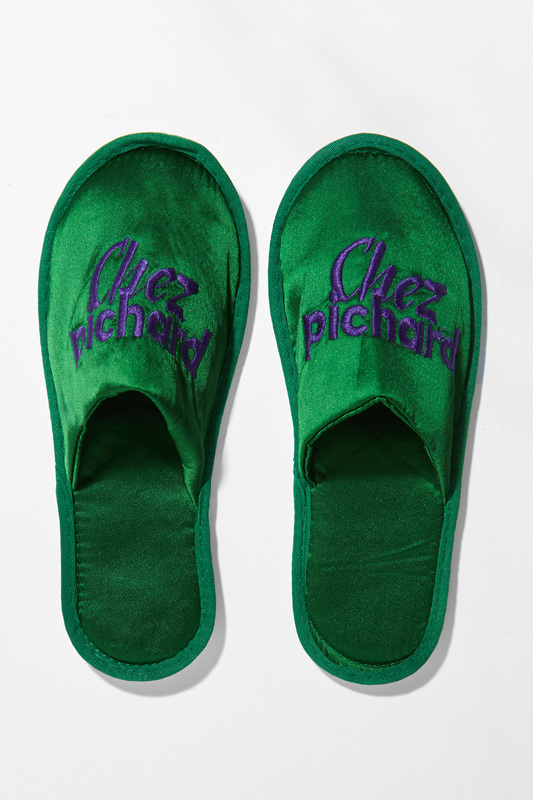 Its unique size is perfect for you and your guests. 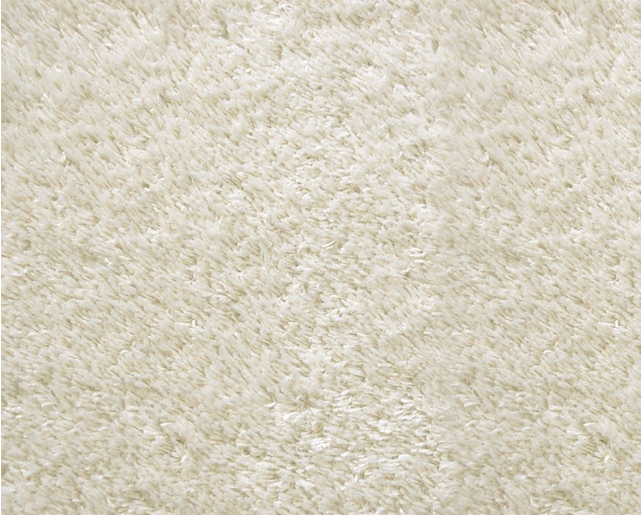 Dry cleaning by a Pantoufle specialist only. 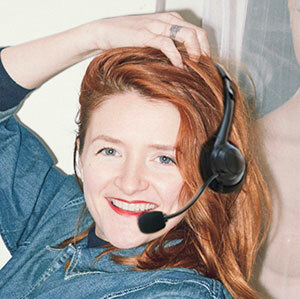 "Dry cleaning by a Pantoufle specialist only."